Hardwood Creations can refinish all types of hardwood floors, including solid hardwoods, engineered wood flooring, oak, pine, heart pine, walnut, bazillion mahogany, and bamboo wood flooring. Our typical wood floor refinish is a solid wood flooring 3/4 x 2 1/4 thru 5 inch wide, but we can handle the more hard to do engineered wood flooring as well. That’s right most wood floor companies will tell you that an engineered wood floor can not be refinished and that you must replace your older worn out tired looking pre-finished wood flooring with a new one period. Well we can refinish any type of wood flooring so long as it’s top layer is a minimum of 1/16 thick. Hardwood Creations is a third generation is wood flooring and we have the know how and the right equipment to do this type of wood floor refinishing to your older worn engineered wood floors. Wood floor installation begins with picking the floor that best suits your design and decorating needs. We work with you to select the best wood species and finish based on your lifestyle. Important factors such as the amount of traffic the floor will likely endure are taken into consideration. We install pre-finished and engineered floors. 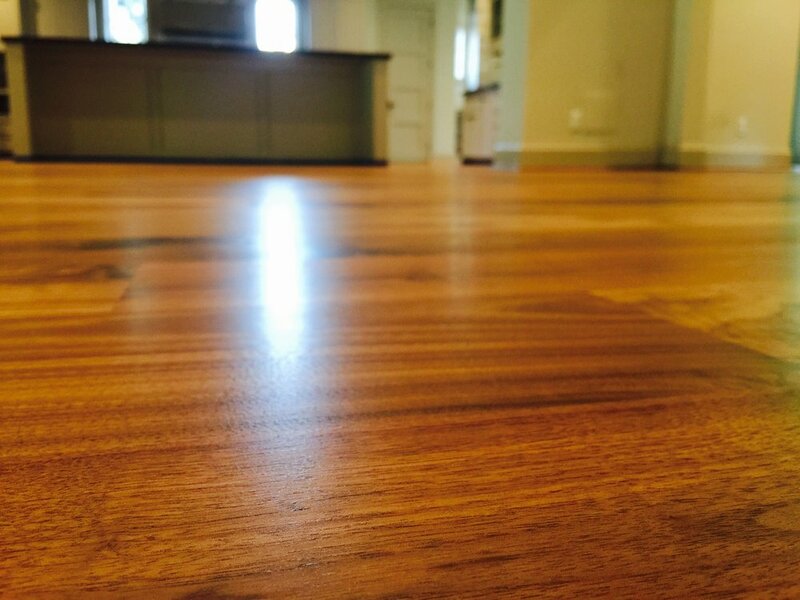 We install unfinished floors & sand/finish them with a polyurethane or water based finish. We supply & install all types of wood flooring from Brazilian Cherry to White Oak. We supply & install wood flooring of various widths. Standard floor width is 2.25 inches (wider floor board face widths available). Hardwood Creations is proud to offer a Dustless Floor Sanding process that eliminates almost all of the dust created by floor sanding. Sanding hardwood floors used to create a massive dust storm. Our Dustless Floor Sanding Process eliminates 90% of the dust created. The Dustless System uses powerful vacuums attached to all sanding equipment, extracting the dust from the job site. We then use 24 grit, 60 grit, & 80 grit paper. We buff the floors with 120 grit screen in order to smooth the floors and close the grain. Next, we apply 2 coats of oil based polyurethane or 3 coats of water based finish. Hardwood Creations is an experienced and professional hardwood flooring installations and hardwood floor refinishing contractor. We have years of experience working with home owners, restaurants, hotels, schools and more. Our technical expertise and skilled staff allows us to handle projects from residential projects to a large commercial installation or refinishing project. We are committed to delivering outstanding results and service. Our success can be seen in the many testimonials received from our clients. Commercial and residential projects have unique requirements that Hardwood Creations, is prepared to meet. We provide all the necessary paperwork (proof of insurance, liability and workers compensation). We understand that in a commercial setting, contractors must meet strict and specific insurance provisions before work can be performed on site. RED OAK 5 INCH SOLID WOOD FLOORING INSTALLED IN HEIGHTS HOUSTON. Installed solid maple wood flooring nailed down 5 inch. Removed carpet and installed curved solid oak stair treds. Solid 5 inch hardwood flooring nailed down, then refinished. We realize you can choose any wood flooring company on the internet and appreciate you giving us the opportunity to be of service for your project, our commitment is to give you the very best professional wood flooring service we can. As a Houstonian native, I have a deep love for Houstonians and their hardwood floors. I approach both life and work with sincerity, honesty, and compassion. To me, there is nothing more rewarding than seeing a client fall in love with his or her new hardwood flooring installed or older wood floor refinished. For the past 25 years, I have been helping people install and refinish there hardwood floors in there homes. 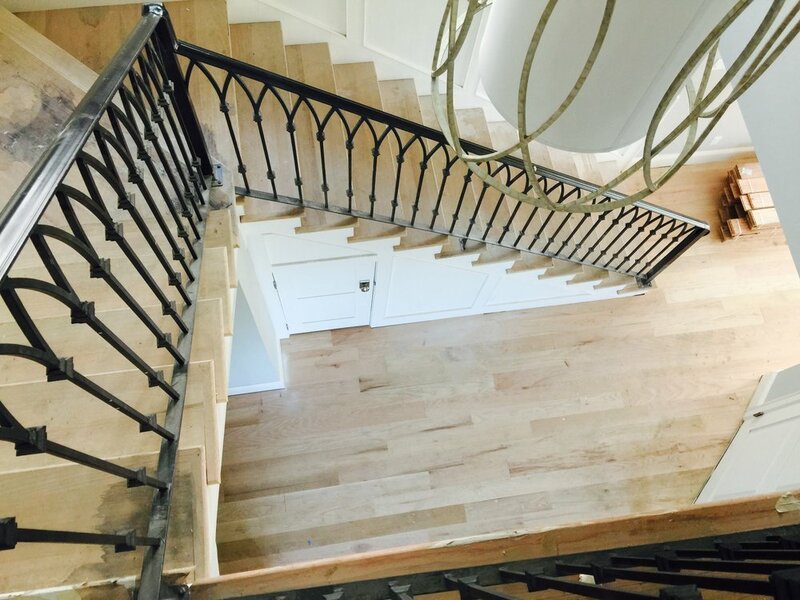 With a background of three generations in hardwood flooring services, I have a thorough understanding of the hardwood flooring market and know what it takes to champion a client’s needs. Whether you’re renting a co-op or buying a mansion, I can help you price the right wood flooring for your property, our services also include sales of name brand floors, new installations, repairs, refurbish, re sand, and more.